There are currently 116,868 users on this website. Well, I think it's a MS64 ... but it won't shock if ANACS gives it a 65. 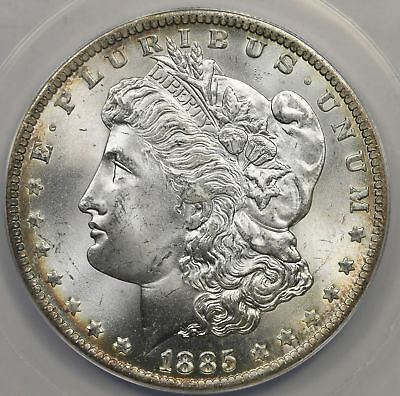 Just too much damage IMO and it looks like the obverse die was almost worn out. I think it just misses 65 but I would not be shocked if any TPG would call it 65. 64+. one hit to the jaw away from gem. great fields! 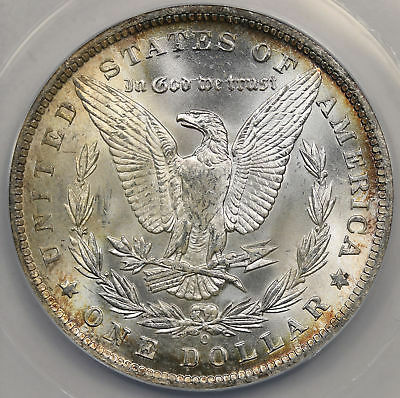 I know its not for everyone but I am a sucker for a nice uncirculated Morgan with the golden edge toning. I'll say 65, super coin. You guys nailed it. MS-64 in the blue ANACS holder. I like your coin. The finish and toning look great. Very attractive--I love that peripheral rim toning, too.